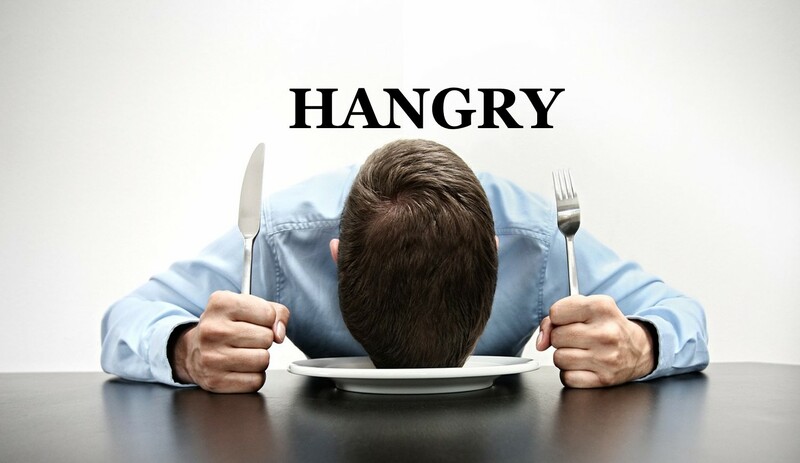 When the level of hungry goes into a new dimension, you are something more than just hungry: You're hangry (hungry + angry). When you feel like this, you are bad-tempered and irritable?you are angry because you are so hungry. Ex.You are late! Where have you been for so long? The table is set and I am so hangry I could slap you right now!